Private higher education provider and iTversity Belgium Campus is offering 125 free bursaries to the value of R8.5 million for 2018. Private higher education provider and iTversity Belgium Campus is offering 125 free bursaries to the value of R8.5 million for 2018. The offering consists of 25 diploma and 25 degree bursaries at their Pretoria Campus, 25 diploma and 25 degree bursaries at their Kempton Park Campus and 25 diploma bursaries at their Port Elizabeth Campus. These bursaries are available to South African individuals of colour, as well as students with disabilities. “In a country where jobs are scarce, we want to invite young people to a learning environment in which they can thrive,” says Belgium Campus chairman, Jan Rombouts. “Key to this is our Participative Development Model for Education (PDM), which has not only led to remarkable growth in the ICT sector, but the encouraging fact that 100% of our students are employed after graduating. “In a country where only 17% of students who currently start university will ever graduate, and 58% of young people between 15 and 34 are unemployed, this is nothing short of remarkable,” he adds. 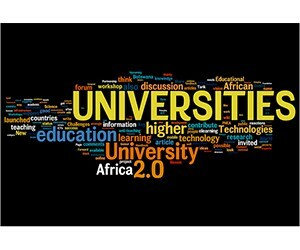 Proof positive of this commitment is the iTversity’s cooperation with industry giants such as EOH, Siemens and Boeing to create a learning hub where students feel they are on a level playing field with access to quality education, regardless of their economic position, gender, race or disability. Rombouts says the reason behind their focus on black female and disabled students is South Africa’s history as a typically patriarchal society, where the roles of women were narrowly circumscribed, and which has resulted, amongst other things, in the low number of women in STEM (science, technology, engineering and maths). “Against this background, it is vital for us to ensure that our students are not only properly equipped with the right skills, but that they possess the acumen, attitude and passion to truly make a difference to our country,” he explains. “ICT will play a prominent role in the future of South Africa and the continent, and it is crucial that women are included in this Fourth Industrial Revolution,” concludes Rombouts. Belgium Campus is a private higher education institution, registered with the Department of Higher Education and Training (DHET) (Reg. no. 2003/HE08/001), accredited by the Council on Higher Education (CHE) and listed with the South African Qualifications Authority (SAQA) on the National Qualifications Framework.